The defense has not been the Run Stoppers we are use to so McCoy could have a very big day in a stadium he is use to running wild. 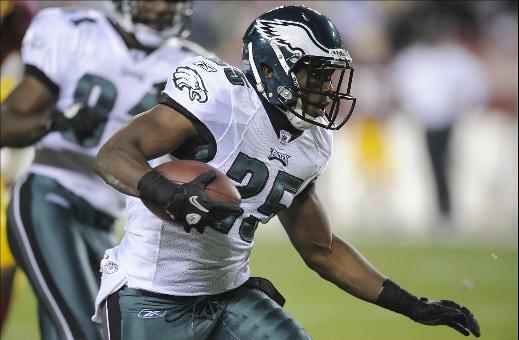 Like most of us remember, when we played the Eagles in 2008 Ben got beat up badly by the Eagles blitzes. It was painful to watch. Are we "better"? are they "worse"? PITTSBURGH -- The starting defense the Steelers thought they were getting when the season opened finally practiced together on Monday. Rashard Mendenhall is expected to return in Week 5 for the Pittsburgh Steelers, who haven't been able to get their ground attack going with their starting running back on the sidelines after he had knee surgery in the offseason. So many questions for this game. How will the O-line hold up? will Mendy improve the running game? How much an impact will having Harrison and Troy be? The Eagles are 3-1 and coming off a big win. They have proven they can finish games, and come back when it counts. In the Steelers two losses they gave up leads at the end and their defense could not finish!!! 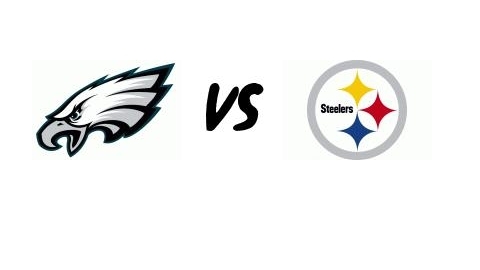 Let the Battle of Pennsylvania begin!!!! The Pittsburgh Steelers look like they'll come out of their bye with their two biggest playmakers on defense returning to action. Coach Mike Tomlin said Tuesday that both safety Troy Polamalu and linebacker James Harrison are expected to play Sunday when the Steelers host the Eagles. Not much new.... hope they play and have an impact. Are we wearing the god awful throwbacks this week? Can't remember which week we're wearing them. Don't believe so. One of the games was against the Ravens, I know that much. Guess who gets to miss half this game thanks to hockey? Gawd I love this set of hotties. Nice work with the random hot chicks, always adds some nice flavor to the rivalry. Sounds like you guys are getting healthy at the right time coming off your bye week. Should be a fun matchup and let us both pray our QBs don't get plundered too badly by horrible o-line play. Uncool man... uncool... you should have said something a long time ago than bring this into MY GDT!!!!!!! Where were we...oh yeah, Sunday's game. Looks like this match-up is coming at a good time for your team. 4-1 after byes under Tomlin (including 4 in a row) and having star players return. Hoping for a great game, and I have a close buddy who is a Steeler fan that I'll be watching with, so this one will be important to me. Best of luck to both sides, and lets get through this one with no injuries. hmmm... a bit explicit/borderline gifs there Eagles 808.... trying to get my thread locked!?!?!?! Maybe, maybe not. I tip toe the line of what is acceptable on a daily basis. But let's just keep that between the two of us. Sorry, but we have a set limit to random hotties. Things got out of control last year and to make sure we stay on track discussing football, we have set a 3 hottie limit. I know, sounds stupid but this comes from the upper FF brass, so we have to listen. Just got back from The Library, a bar in southside where they were filming the Mike Tomlin show for this week. Mike T arrives says hi to everyone there, orders some vodka on the rocks for himself, then buys a round for the entire bar. My brother and I happened to get a table three feet away from where Stan Savran and Tomlin did the show. Mike T is just the coolest coach in the league. He was shooting the ish with all the people there and cracking jokes. Despite the fact that I am 22 and he is 40, I want to become his friend somehow. It was a really cool experience.